The hike to Khumjung gives one beautiful views over Namche and one can see how the city is built into the horseshoe hillside. We are climbing a little higher now and getting close to the tree line. Even in Khumjung, three days deep in the Himalayas, they have housing codes – every house must have a green roof. 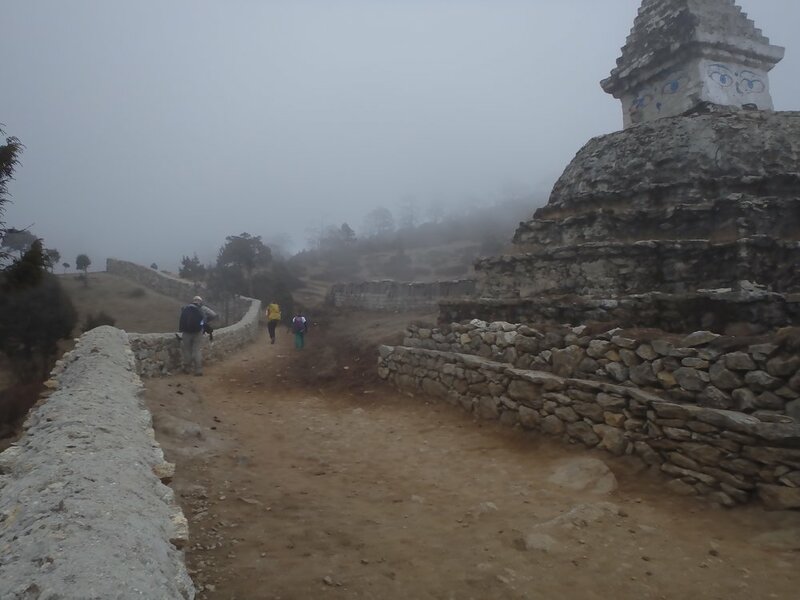 Live in Namche but want your kid to go to school? He/she will have to climb up an hour to the school built in Khumjung by sir Hillary. Since leaving Lukla no roads, no cars…..everyone walks unless you can afford a Yak, it’s like having a car for us.